The ever increasing awareness of the modern engineering concerns and the intensive international efforts on technological applications will offer the best contributions to the society and achieve the goals of sustainable development along with environmental concerns. 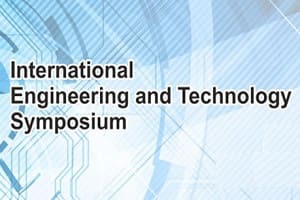 The 1st International Engineering and Technology Symposium (IETS’18) is an international meeting for exchanging new information, ideas and applications of any fields of engineering. The conference aims link researchers from academic world specializing in every engineering discipline from all around the world. The conference is organized by University of Batman. The aims of the event are; to bring academics, researchers, interested persons, public and sector employees working in the fields of engineering disciplines within the scope of the symposium, to share new and different researches, studies, practices and ideas; to increase university-public-sector cooperation; and to find common solutions to the problems encountered. The main theme and sub-topics of the symposium are determined as follows. The purposes of Symposium are to follow developments, contributing to the development of academics and students, to create a platform for discussing developments, to create a current source in engineering and technology fields. 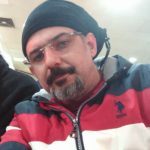 The language of the symposium is Turkish and English. • Papers that are accepted after by the evaluation period will then be sent for publication in the journals determined by the organization committee.